This weekend we hosted over 20 young and experienced developers from across Delhi NCR at SocialCops HQ. As part of Google’s Developer Student Club, the Google Cloud Study Jam (a 3-hour community-run study group) was organized by Sanjot Singh. The agenda of this study jam was to learn the fundaments of Google Cloud Platform, how to run containers on it and how to use the platform for data engineering. With a vision to nurture future developers, facilitate collaboration and increase knowledge sharing within the tech communities, we are hosting community-run meetups at SocialCops HQ. These meetups have brought together people of varying interests — data scientists, engineers, designers and mobile & web developers — to come together, learn and collaborate. Designed for the beginners, these study jams are a perfect way to take some hands-on training and get started on Google Cloud Platform. Sanjot Singh kickstarted the day with an introduction to Google Cloud Platform, its infrastructure, and Google Cloud Essentials. Where is the bonus chance to earn more of those badges and flaunt them? Here is one! Kashish Handa introduced the participants to Docker Technology, Kubernetes and shared resources to earn more of those online badges. Docker is a computer program that performs operating-system-level virtualization also known as containerization. The containerized applications are then deployed, automated and scaled using Kubernetes. The highlight of the session was most definitely The Illustrated Children’s Guide to Kubernetes. Stay tuned as we host more exciting meetups at SocialCops HQ! Check what we did last weekend here. Ever wanted to work at the intersection of technology, data and drive some of the most impactful projects? We are looking for rockstars to join our team. 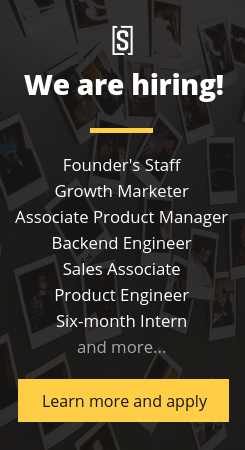 We are hiring for Back-End Engineers, Senior Data Analyst, and other positions. Know someone who would be a great fit? Help us connect!